Are you sick of paying for treatment and not getting results? 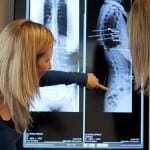 3 Very Important Reasons why Yarra Hills Chiropractic is Different. 1. We analyse your spine thoroughly using the 5 step Gonstead system. Nervoscope: measuring heat variations in your spine relating to inflammation. Static palpation: touching the skin directly to pick up swelling, spasm and tenderness. Motion palpation: feeling the movement of individual vertebra looking for the ones that are stuck. Postural assessment: checking for visual signs of misalignment. We take these steps with everyone on every visit to accurately determine what specific areas need to be corrected at that particular time. 2. Specific and precise treatment personalised to the cause of your pain. Spinal Recovery Management: the number and frequency of treatments are carefully determined based on your unique condition and findings. No excessive predetermined treatment plans are used. Specific and controlled adjustments: the precise correction or spinal adjustment is achieved by contacting only the single vertebra causing your problem. You start getting results immediately: 90% of our patients experience improved spinal condition after their first appointment. Restoring your spinal health: with each adjustment building on the previous one, the interference to full recovery is removed, allowing your body to heal quickly and naturally. Better value for money: immediate results and a much quicker and more precise road to restoring your spinal health ensures maximum value for money in the shortest possible time.